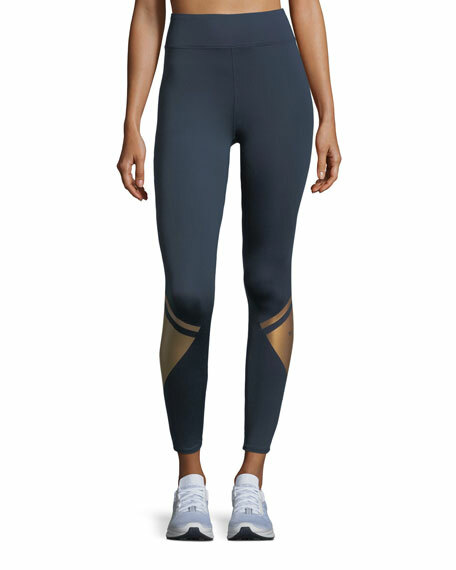 Heroine Sport "Flex" leggings in high-performance fabric. Contrast vinyl-print panels at sides. For in-store inquiries, use sku #2405581.